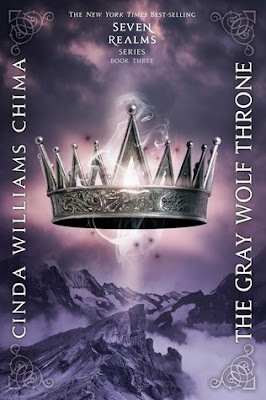 THE GRAY WOLF THRONE is the third of four installments in author Cinda Williams Chima's Seven Realms series. This book picks up about a month after the events of The Exiled Queen. As with the previous novels, the author once again alternates narratives between Princess Heir Raisa of the Queendom of the Fells, and Hans Alister, once a street king, who is about to get a surprise of his life when he finds out who his friend Rebecca Morley really is. For Raisa, she's survived an assassination attempt, she's escaped being forced to marry Micah Bayar, only to escape being dragged to another Kingdom by Gerard Montaigne who wants Raisa's hand in marriage. For Raisa, this book is all about survival. She knows that she must make it back to Fells before her sister Mellony is named as the new heir in her place. She faces the seriousness and sadness of loss throughout. There are so many powerful individuals who are willing to do whatever they can to prevent Raisa from taking the throne, that for her to make it to the end of this story, was quite the feat. It becomes like a Games of Thrones chess match where all the pieces have moved their rooks and pawns into place hoping to kill Raisa before she can ascend to become Queen. Raisa is forced to make some difficult choices, including finally revealing the truth to Han who she really is. Han is a character who once again walks a different path than others in this series. He's lost a whole lot, while also learning that he has a new destiny if he can beat the odds that have been stacked up against him. He goes up against some of the kingdom's most powerful people in the Fells, and does what he needs to do to look them in the eyes without blinking. The most difficult choice for Han, is finding a way to forgive Raisa for not telling him who she was before he ending up having attachments to her. Like Raisa, Han has grown by leaps and bounds since we first met him. He's gained a bit of confidence, while understanding that he was supposed to be a toss away by the clans against the Wizard Council and others. He still has Dancer by his side, and that's a good thing since Dancer is rather good at what he does. Amon is still one of my favorite characters, and I could never see Raisa getting this far without his assistance or his friendship. I haven't yet warmed up to the Demonai. I definitely smell something hinky coming right over the horizon. I have to say that I love the Gray Wolf Queens and their connection to Raisa, and the best part is when they all come together in a shocking in your face you bastards scene that had me applauding the audacity of the author. It so great when it continues to be that good like that! I love it when characters are shown to grow and change in a book series! Thanks for sharing. This sounds really good, thanks! So many people seem to love this series, I really need to try it. Lovely review and have a great weekend! Sounds like another good book in this series. 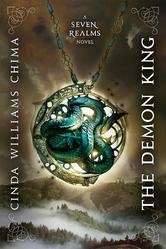 I eyed this series when it came out, and I don't know why I have never read it, I have heard some wonderful things. Sounds like you are loving it, and that means I need to keep it in the pile. Glad there is so much character growth Shelley. I still haven't read anything by this author but I have Flamecaster and I've heard so many wonderful things about her writing. Sounds like an epic battle and I LOVE action.